Hello Wench: Easter Weekend Shenanigans! This past weekend I had an absolute blast. I actually got to relax a little bit and I'm definitely yearning for the weekend as I write this. So we packed up after lunch - hopped in the car and to Grandma's house we go! Chris and I stopped at the dollar store on the way to Grams to pick up a few things and somehow a 4 foot inflatable alligator and a water gun got into the basket. I'm not going to name names - but I think I know who put them in here. 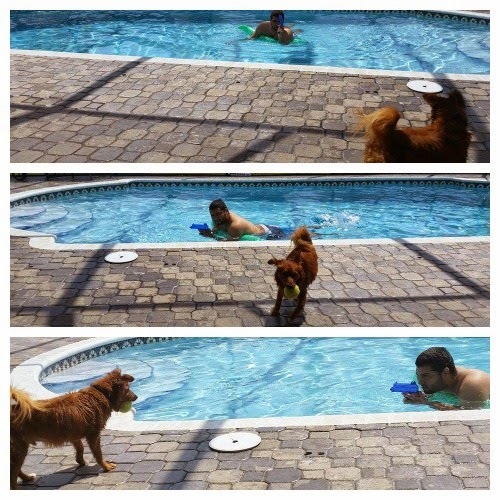 (chris) Either way, Chris was excited to test out his new pool toys and was determined to swim ASAP. So after only being home about for about 20 minutes Chris was in his swim trunks and we were going swimming! Friday night my Grandma, Brother, Chris, and I all dyed Easter eggs. Can you believe that Chris had never dyed eggs before?! I think he had more fun than anyone coloring them - we did neon tie-dye eggs. Buster was soo pooped at the end of the night that he was literally the most adorable thing ever and just fell asleep in my lap cuddling my leg. 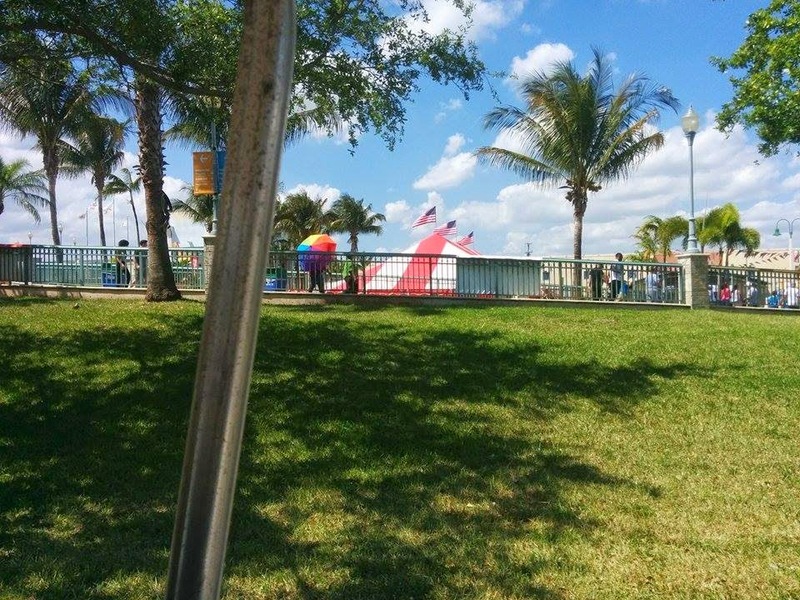 On Saturday we did a fun thing - we went to Miami-Dade County Youth Fair & Expo with my family! 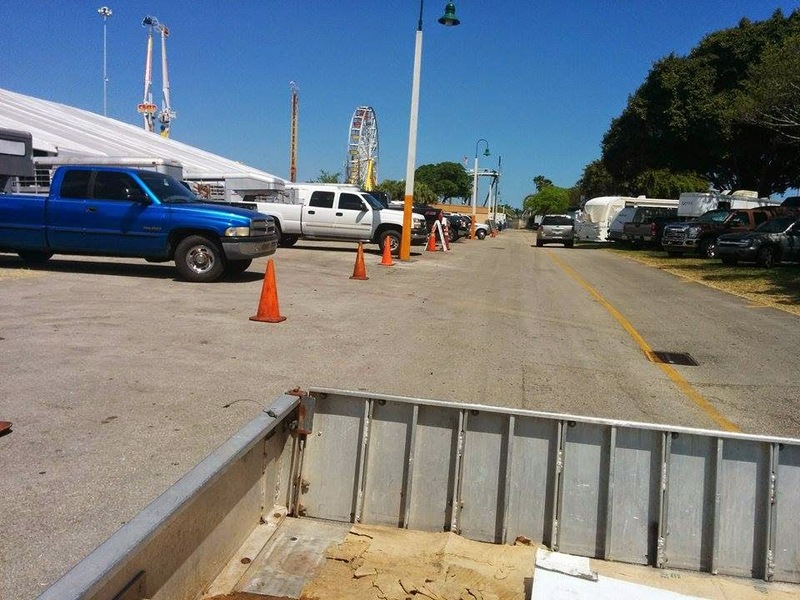 Well its kind of cheating because my family is a vendor there - but Chris had never been to a fair of this magnitude and I hadn't been in years! 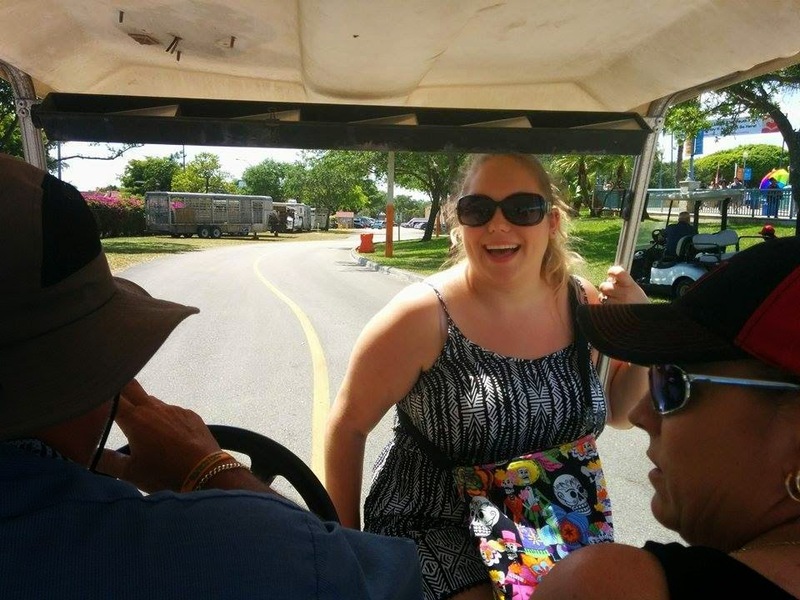 We rode in a cart to our first attraction! Okay so Chris and I are kids at heart so the first thing we definitely wanted to do was go to the petting zoo! My Mom had been there a few days before and was talking about all these goats and cows and how you could pet/feed them all! But of course - there was a distraction in our beeline for the petting zoo. A PIG RACE. 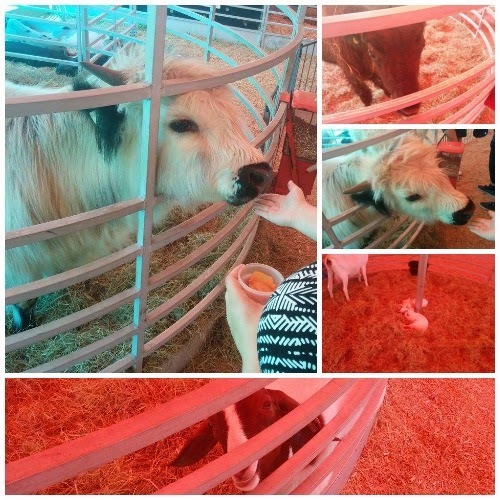 Either way we entered the petting zoo - bought our carrots and started to feed all the animals we were allowed to. It was so much fun and there were some adorable little newborn baby goats sleeping in the middle. I wore a jumper and some flip-flops to the fair! 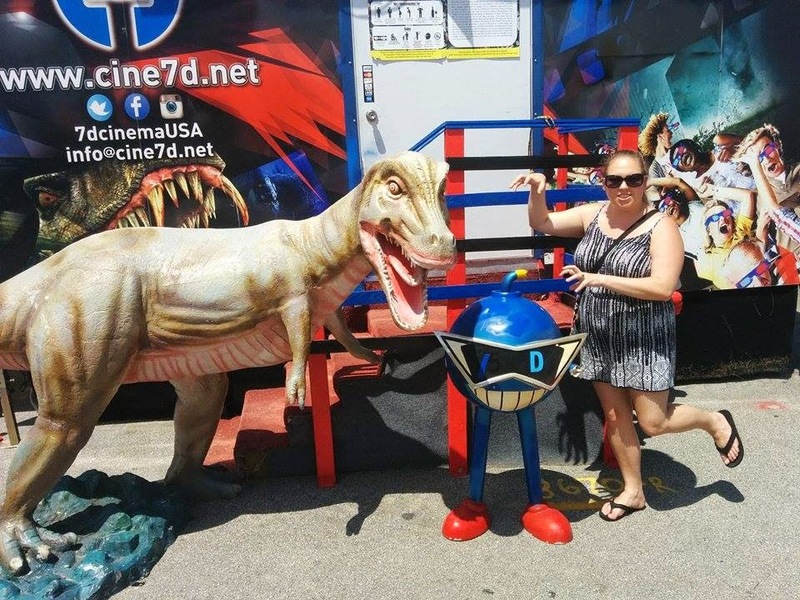 After feeding the awesome animals I posed with this lovely statue and then we hopped on a cart to go get some icee's because it was seriously hot outside. 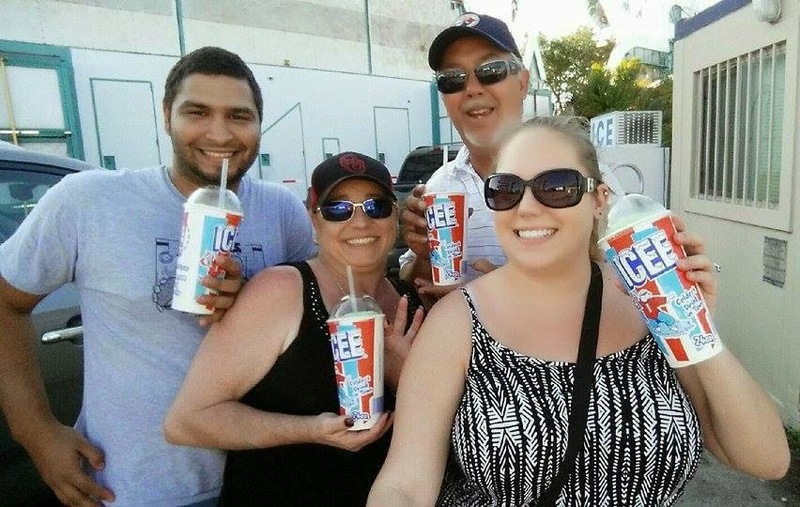 My whole family ended up getting an icee (except my brother - who was the only responsible one holding the fort down). I got the cherry limeade flavor, my Mom got banana, Chris got lemon-lime, and my Dad got plain-ol' coke. We all agreed (except my Dad) that cherry limeade was the best flavor. 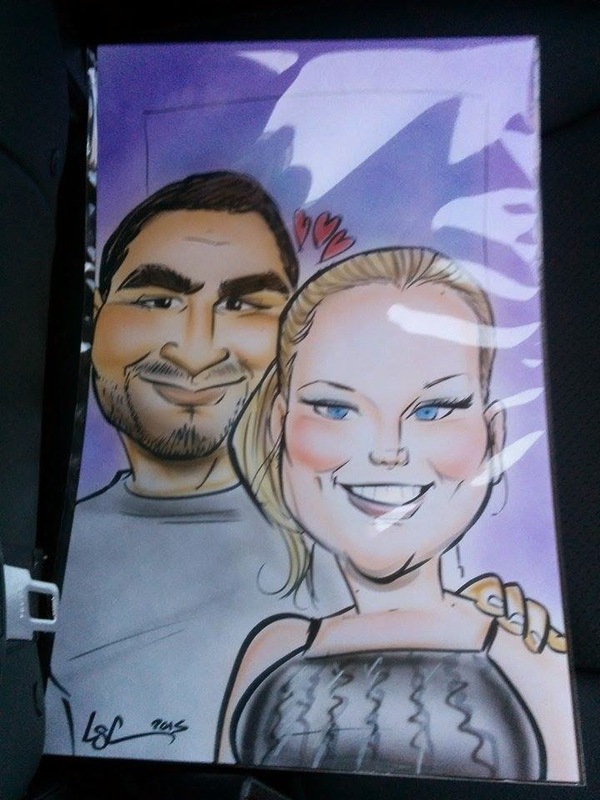 And to top it all off - Chris and I got our caricatures done! By the end of the day we were so full of delicious fair food and tired from the hot sun that sitting down with a fan hitting our face was a relief. I loved how it turned out. We don't look like anyone else but ourselves - almost 8 years into a relationship. Easter Sunday itself wasn't a very exciting day - except for in the morning. My Grandma hid the Easter eggs we had made in our house for Chris and I to find! We finished hunting (Chris found more eggs than me) - and come to find out that Buster had somehow escaped the house! He was running all around the outside of our house playing in the sprinklers like a madman! After Buster was quarantined and dried off - we resumed looking through the Easter baskets we received and started to help my Grandma cook dinner. The rest of the day was pretty uneventful with family coming over and eating a seriously filling meal. We packed up and headed home shortly after that. Overall, it was another amazing weekend full of laughter and firsts. I had a great time and I hope that every Easter is like this one (except without Buster escaping). This post just made me extremely envious to be staring at the grey clouds of Manchester, UK whilst you've been splashing around with an adorable Buster! He had never dyed eggs before?!?! I love doing that every year but I ran out of time and wasn't able to this year. & I should get an icee soon. I love those things.